John Nunn presents 250 challenging positions where your task is to find a cunning way to win or draw. In many cases the odds against success seem overwhelming, yet by using all the tactical resources in the position it is possible to achieve the goal. The studies were subjected to a rigorous checking procedure, during which thousands of unsatisfactory positions were weeded out. The 250 studies finally selected represent some of the finest creations of composers such as Kasparian, Troitsky, Pogosiants, Mitrofanov, Chéron and Réti. Nunn's detailed solutions contain many points and clarifications that have hitherto gone unmentioned, so readers will rarely be left to wonder whether their intended solution really did work. In an over-the-board game, the ability to use the pieces in harmony is paramount, and those players who can exploit every resource in a position are those who become champions. 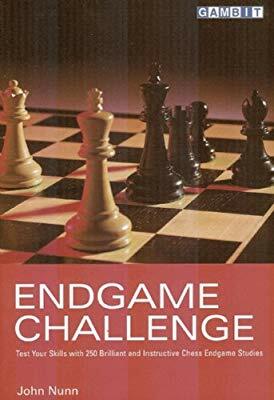 While the focus in this book is on tactics, readers will also develop a greater understanding of many important endgame topics, such as fortresses, stalemate defences, the opposition and zugzwang.